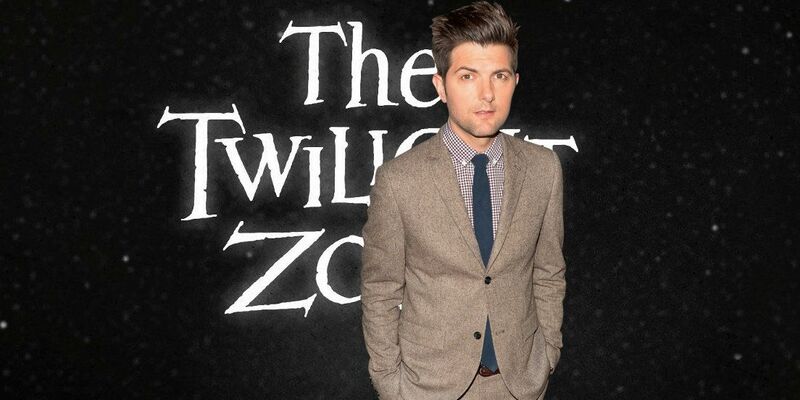 CBS All Access’ revival of the 1960s anthology series The Twilight Zone has cast Adam Scott in a remake of a classic original episode. Jordan Peele is executive producing and hosting the revived Twilight Zone, which has already begun production as revealed in a recent video. Debuting in 1959, Rod Serling’s Twilight Zone was a weekly anthology of sci-fi and horror stories noted for their third-act twists and socially relevant themes. Serling himself not only wrote many of the stories, he also became an iconic on-screen presence thanks to his wry introductions. The series has been revived twice before – in 1985 and 2002 – and was made into an omnibus movie in 1983, with major Hollywood directors like Steven Spielberg and John Landis providing segments. Coming off his very Twilight Zone-like hit film Get Out, Peele is leading the latest revival of the classic series. 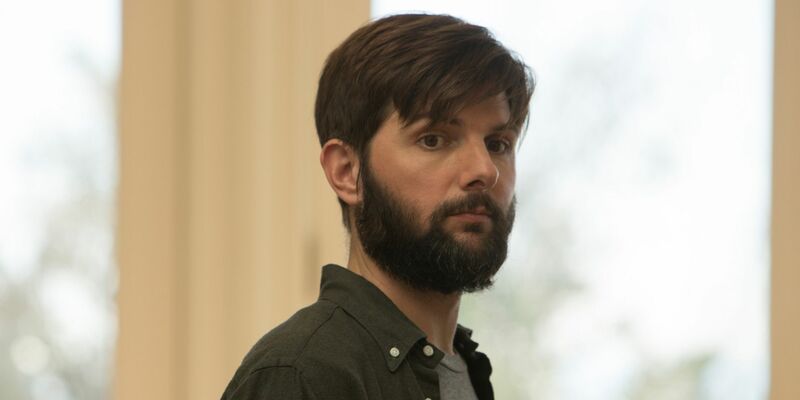 TVLine now reports that the revival will reach back into the past for at least one story idea, remaking the classic episode “Nightmare at 20,000 Feet,” renamed “Nightmare at 30,000 Feet”, with Parks and Rec veteran Scott in the lead role. Scott joins The Affair actress Sanaa Lathan, who’s also signed on for the series, albeit in a different episode titled “Rewind”. Twilight Zone fans will of course immediately recall “Nightmare at 20,000 Feet”, which stands as one of the most enduringly popular of all the original Zone episodes. In the ep, William Shatner plays an anxiety-ridden airplane passenger who thinks he sees a monster tearing apart the plane’s wing. But of course no one else can see the creature. An exercise in building tension, the story shows an apparently delusional Shatner slowly unraveling – but, of course, the third-act twist reveals that he was right all along. The episode was previously remade for Twilight Zone: The Movie, with director George Miller and star John Lithgow. The Simpsons memorably lampooned the episode in a season 5 “Treehouse of Horror” installment in which Bart thought he saw a gremlin tearing apart Otto’s school bus. Not much has been revealed about Peele and company’s plans for their new take on The Twilight Zone, but with this report it’s now apparent the show will at least partially dip into the well of classic Zone episodes. While it certainly makes sense to revisit the great catalog of available Zone stories from time-to-time, the show likely will also try to establish its own identity with original stories that capture the spirit of Serling’s original vision. Of course, the only way to truly capture the spirit of Serling is to follow his lead by telling stories that not only terrify but also provoke thought, and in some ways remark upon the fears and anxieties afflicting society of the present moment. The new Twilight Zone is expected to debut on CBS All Access sometime in 2019.